I thought I would write another article this week and cover my favorite Constructed format- Legacy. I have been following the trends of Legacy because I recently split the Top 8 of a Legacy 3k Invitational at BC Comix, a local LGS. There were less than 25 players qualified, but the field was packed to the brim with Michigan’s top Legacy talent. Each round felt like a feature match. I brought Grixis Delver to the event knowing that many of the grinders in the area prefer Blue control decks. This ended up being the case as I faced Blue decks in three out of the four rounds I played followed by an intentional draw into Top 8. My testing process was great. Kevin Chang and “Can’t Close Clay” Spicklemire, some Grixis Delver aficionados, helped polish a good list and sideboard strategies. In addition I watched some Grixis Delver videos online and researched the recent 5-0 decklists from leagues. Clay made the top 4 of SCG Tour: Columbus with a Grixis Delver list featuring two Bitterblossom in place of the final copies of Young Pyromancer. It was the nail in the coffin against control that doesn’t cost three mana unlike True-Name Nemesis. This is a valuable trait in a deck with nineteen land playing Daze and Wasteland. Next month the SCG Tour is making a stop in Indianapolis for team Constructed where I will play alongside Max McVety and Andrew Elenbogen. They both don’t play much Legacy so it’s up to me to select the optimal Brainstorm deck to bring home the trophy. Not only do I play two Bitterblossom in the main, but the third was even better in post board games. It felt free to cut the Diabolic Edict in the board as the 1/1 flyer blocks Marit Lage tokens and evades the popular counter in mirrors- Pyroblast. If Eldrazi is popular in your area I would just play a different deck as Chalice of the Void is annoying. I’m trimming on Daze in favor of a fourth discard spell because it works well with my midrange threats. Discard into Bitterblossom or Young Pyromancer is a powerful curve that isn’t thwarted by the likes of Ancient Tomb and City of Traitors. The final creature interaction spell is hotly contested. Four Lightning Bolts is a given, but I’m in favor of Chain Lightning as the fifth. I don’t want a Dead // Gone or Abrade against something like Reanimator, Lands, or Sneak and Show. I can also cast it more aggressively which is important with delve creatures and Young Pyromancer. Another key note is I just got an English Legends version from Coolstuff which I’m excited to play. Snapcaster Mage in the sideboard helps me be more grindy or just double up on any interaction I bring in. The theory was it let me play less Surgical Extractions because I can flash them back with Snapcaster. In practice I just wanted to draw more copies of Surgical because they’re the most important spell in many matchups. Lands and Reanimator can be rough Game 1 and Surgical is the most important card in the matchup so I might as well go ham. I’m off boarding in Liliana, the Last Hope because savvy opponents see this coming and Wasteland my Underground Sea. Instead I opt for more Red cards and the fourth Volcanic Island. A dual land helps me cast Abrade while also continuing to cast Lightning Bolt. I was a fan of Abrade and kept wanting more as it has synergy with Delver of Secrets and Snapcaster Mage. It’s also as efficient as it gets when it comes to destroying Chalice of the Void because x typically equals one. Engineered Explosives also killed many Chalices for me, but it was clunkier. Flusterstorm is a singleton in the board because I find myself not having enough room in my sixty to fit all of my 1-mana counters. Spell Pierce is important against Chalice of the Void and Blood Moon while Flusterstorm is for spell-based combo decks. I don’t like maindecking Flusterstorm because creature decks don’t have many targets. Spell Pierce at least counters Aether Vial or equipment. A mix exists between Pyroblast and Red Elemental Blast because of Cabal Therapy. There are also cases where my opponent can also bring in Surgical Extraction and get a copy out of my hand. The downside is I can’t fire off a Red Elemental Blast at any spell or permanent- it must be Blue. Pyroblast is able target anything, but it only does anything if it’s Blue. This is a niche upside with Young Pyromancer in the deck, but I think it comes up infrequently. Plus, I just purchased a beta Red Elemental Blast I’m excited to play. The nostalgia factor of Legacy is fun for me. Grixis Delver is currently my frontrunner for SCG: Columbus, but there are other Bitterblossom decks that may make the cut. At first I was inspired by one of my original Magic idols, Kenji Tsumura, making the Top 8 of Grand Prix Shizuoka with Grixis Control. If Grixis Control is good enough for Kenji then it’s good enough for me. Next I saw Gerry Thompson brewing some Legacy shenanigans involving Thing in the Ice. I melted in my chair as Thing answers some of the more problematic permanents such as True-Name Nemesis and unsick Mother of Runes. It also returns Snapcaster Mage and Baleful Strix to your hand to get additional enters the battlefield triggers. 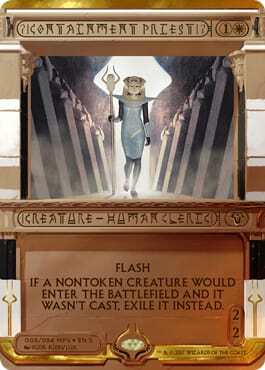 The more conventional Grixis Control decks have many Kolaghan's Commands and planeswalkers so they need to be trimmed in order to increase velocity. I didn’t want Diabolic Edict as it’s a dud against most combo decks and Thing can answer big creatures anyway. Baleful Strix is already good at fighting Thought-Knot Seer, Reality Smasher, and Tarmogoyf, too. Fatal Push is a card I’m never excited to maindeck in Legacy due to the amount of decks that simply ignore it. I can’t fire it off on a Thing in the Ice to warm it up either. I need to melt its icy heart with a cool island song and Fatal Push doesn’t do that. 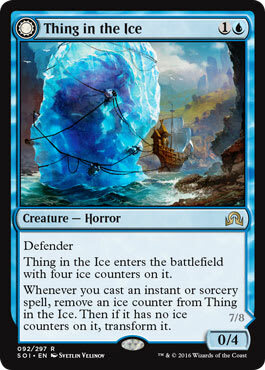 Thing in the Ice has interesting synergy with the abundance of discard. Even when the opponent is hellbent it can be the last spell to melt the Thing in the Ice. This means bouncing all of the creatures back to hand happens before the discard spell resolves. Jace’s -1 ability already does this and it’s good to have plenty of ways outside of Brainstorm to make otherwise dead cards useful. Lightning Bolt kills most early creatures and Baleful Strix will deal with the larger ones. There’s a tradeoff as Red mana is harder to make than Black so I play the Mountain that helps alongside Back to Basics. I like Red mana that is immune to popular land hate post board as Pyroblast and Red Elemental Blast enter the fray. I’ve seen versions of Grixis Control that play Blood Moon and Back to Basics, but there’s rarely a split. I prefer a split as I wouldn’t mind a singleton against some of the fair decks. I wouldn’t want two Back to Basics because it requires some jockeying against opposing Pyroblasts. Blood Moon is nice against lands, but jamming it early might mean I lose immediately to Korsan Grip. If the opponent plays Dark Depths with a Blood Moon in play it enters the battlefield without ice counters; if Blood Moon leaves the token-making ability will immediately trigger. I want to tear their hand apart first and make sure the coast is clear. Grixis Control is a very fun deck to play and the Lightning Bolts give me enough reach to unexpectedly close a game. Thing in the Ice helps me feel more confident at fighting unexpected threats. The last deck I want to discuss is near and dear to my heart. This is my last take on Bitterblossom in Legacy. I have played Stoneforge Mystic in Modern since 2011 and she never really gets away from me. 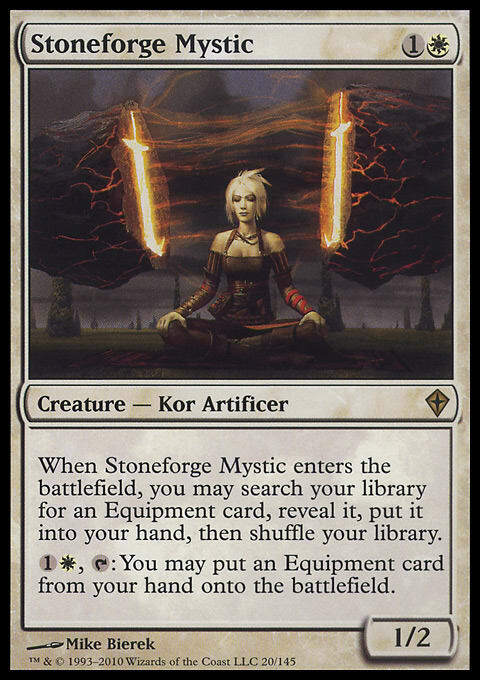 Stoneforge hasn’t been popular in Legacy due to the prominence of Kolaghan's Command. This is still an issue for Esper Stoneblade, but True-Name Nemesis and Bitterblossom help with the matchup. As you can see from my Grixis Delver list I’ve been slowly moving away from tempo counters and toward discard. The curve of Thoughtseize/Inquisition of Kozilek into Stoneforge Mystic/ Bitterblossom is very powerful. Spell Pierce doesn’t play quite as well as my 2-drops are sorcery-speed. There are plenty of singletons in this list outside of the equipment- Vindicate, Tasigur, Jace, Liliana, and Spell Pierce. I like Vindicate over Council's Judgment because of the mana constraint. I want early Black mana for discard spells. Liliana of the Veil is a concession to Vindicate not being able to kill True-Name Nemesis. My biggest beef with Liliana is the double Black mana requirement. I still prefer a copy of her over Diabolic Edict or Engineered Explosives since the discard ability is helpful with dead removal in hand against combo. The more early discard I play the more likely she can lock out combo players. 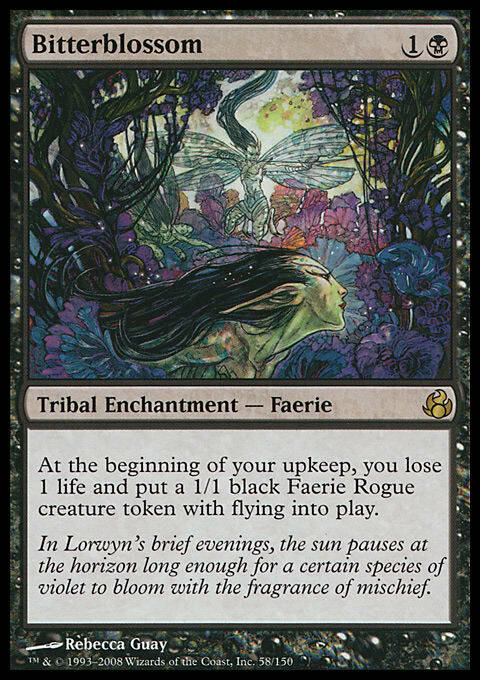 Baleful Strix and Faerie Rogue tokens can block Marit Lage for a turn before I can use the edict -2 ability. A single Jace is included due to there only being 20 lands and equipment being mana intensive. I typically pitch the first Jace to Force of Will and I don’t really need a second as there is plenty of top end already. My two planeswalkers have different names which can go a long way. Ideally I’m playing and equipping Jitte with 4 mana. Spell Pierce is mainly there for Blue card count. I prefer discard in this strategy, but Black cards have a much lower floor. I am willing to pierce any cantrip as I treat it like an Inquisition of Kozilek. Tasigur continues to impress. The Banana King is a staple alongside hand disruption as the graveyard fills quickly. The card advantage ability is also great in this deck as I can fit additional mana sinks without playing expensive cards. Delve has high diminishing returns so a single copy is the most powerful. The mana base is very conservative. I play basics, duals, and fetches only. If I had a utility land it would be the 21st. My ideal start is Underground Sea and Plains as it casts Stoneforge Mystic with the white source protected against Blood Moon and Wasteland. The same start of Underground Sea, Plains, and Stoneforge Mystic is very effective against Chalice of the Void. While it counters many of my spells when X is set to one, Stoneforge can win the game by herself. Esper Stoneblade is very good at interacting with big creatures without playing too many narrow cards. Swords to Plowshares can take care of Eldrazi and Marit Lage tokens so it doesn’t face the same drawback as Fatal Push. My favorite part about Esper Stoneblade is the sideboard. Legacy is like Modern in the sense that White has the all-stars in the board. Containment Priest exiles creatures from Green Sun's Zenith, Natural Order, Aether Vial, Sneak Attack, Show and Tell, Reanimate, Exhume, and Dryad Arbor from a Green fetchland. I’m sure there are more, but that already covers a lot of what’s happening in Legacy. Zealous Persecution continues to impress against Death and Taxes, Elves, and Grixis Delver. I could play Dread of Night, but I like the versatility since Death and Taxes is already a great matchup. It’s only two mana and can be recast via Snapcaster Mage. It’s an efficient way to kill only opposing True-Name Nemesis; this is important as I would rather keep my own merfolk rogues and faerie rogues alive. I’m able to confidently play two Flusterstorm because I’m not competing with Red Elemental Blast and Pyroblast in the board. Counters are different enough from Thoughtseize/Inquisition that I believe the overlap to be tolerable; this is because I can cast them proactively. I don’t want midrange mirror breakers in the sideboard because I already have Jace and equipment in a 20 land deck. The Sword of Feast and Famine is in the board against combo decks. Batterskull and Umezawa's Jitte essentially turn Stoneforge Mystic into an expensive Tarmogoyf against combo and that’s not good enough. The discard each turn prevents combo opponents from sculpting the perfect hand to go off. I typically want to board out removal ahead of Stoneforge so it’s important to make her effective. Pithing Needle is insurance against random combo decks. I’m willing to name Griselbrand, Goblin Charbelcher, Thespian's Stage, and Sneak Attack. I’m going to try out an Esper Charm because it’s like Hymn to Tourach except it pitches to Force of Will and can be flashed back with Snapcaster Mage on the draw step. It’s also easier on the mana and can turn into Divination in the late game. All three of these decks are very fun and I’m going to do some soul searching to find the optimal list at SCG Tour: Indianapolis. That’s all I have this week. Thanks for reading.